Announced as the opening film last month, Uncle Boonmee Who Can Recall His Past Lives will make its Korean premiere not in Pusan but at the fourth Cinema Digital Seoul Film Festival. 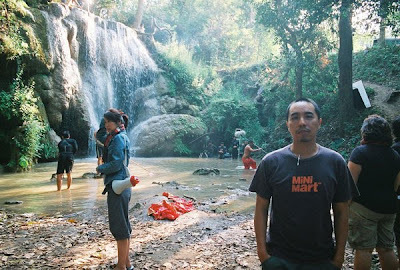 And, director Apichatpong Weerasethakul will serve as the judge of the competition for the Red Chameleon Prize, and teach master classes during the fest. He also will curate a selection of his short films for the CinDi Extreme program. The shorts are A Letter to Uncle Boonmee, 1994's 0116643225059, Luminous People, My Mother’s Garden, 1999's Windows, Ghost of Asia, Emerald and Vampire. Among the competition is a Cambodian film, Survive by Roshane Saidnattar, a survivor of the killing fields who returns to interview Khieu Samphan, Cambodia's head of state under the genocidal Khmer Rouge regime. With her mother and her daughter, she also journeys back to the hamlet where she’d been a child slave of the revolution. There's also archival footage and dialogue-free re-enactments. CinDi runs from August 18 to 24. 14th TSF&VF review: Each Film ... An Island?